The Valhalla Lodge sits high at an elevation of 6900 feet on a large granite slab and is surrounded by ten skiable alpine basins. The lodge is “Cosy” it accommodates 8-10 people in five separate bedrooms. The living area is down stairs and anymore than 10 folks it’s a “tight squeeze”. The lodge is heated by a wood stove keeping the lodge nice and warm after a long day in deep powder. When the body needs recovering, relax in our cedar log sauna. There is power to charge batteries. Bring your own charger. Where to stay on night before flying into Valhalla Lodge? 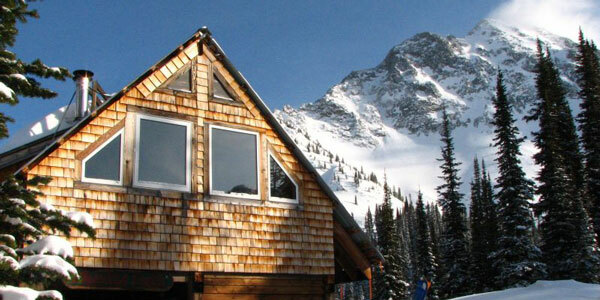 The lodge at Arrow lakes- (CMH heli-skiing hotel). Arrow Lake Motel.- best suited for those coming through the Okanagan. Simple. No restaurants in Fauquier.